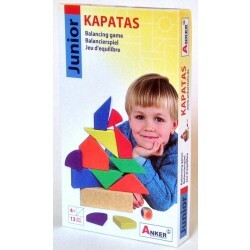 The Laosa set is a puzzle, a block set, or even a game! 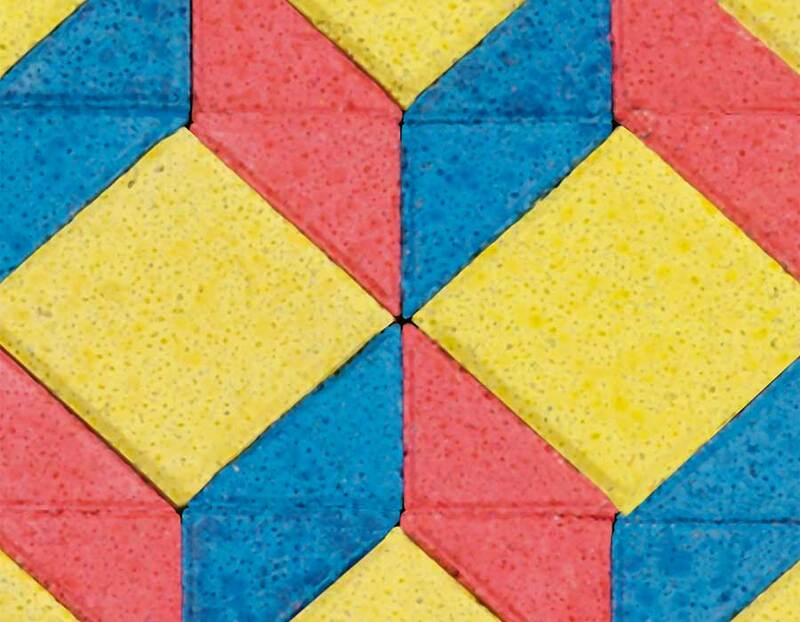 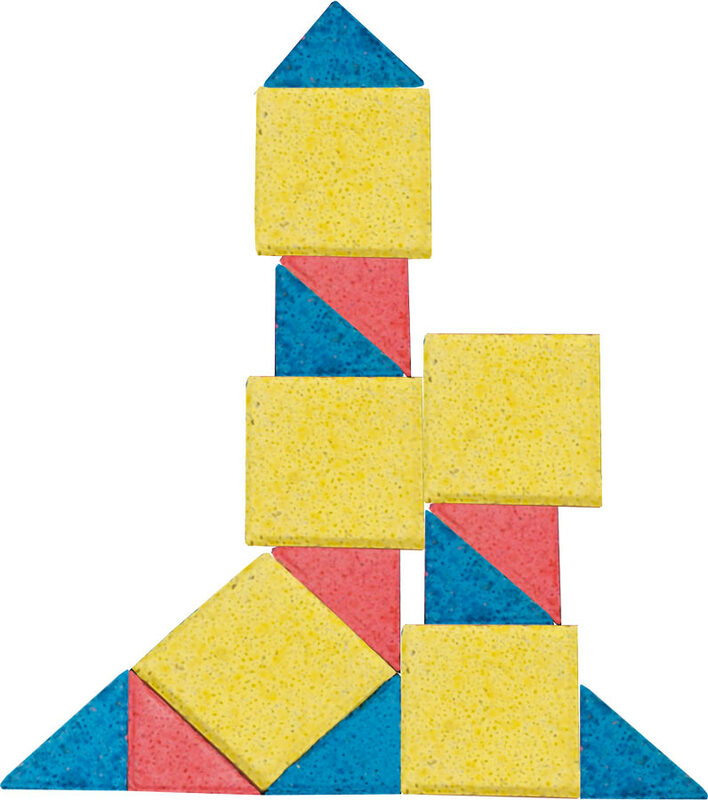 The square and triangle pieces can be assembled into a square with a cube motif or play with the blocks for free-form building. 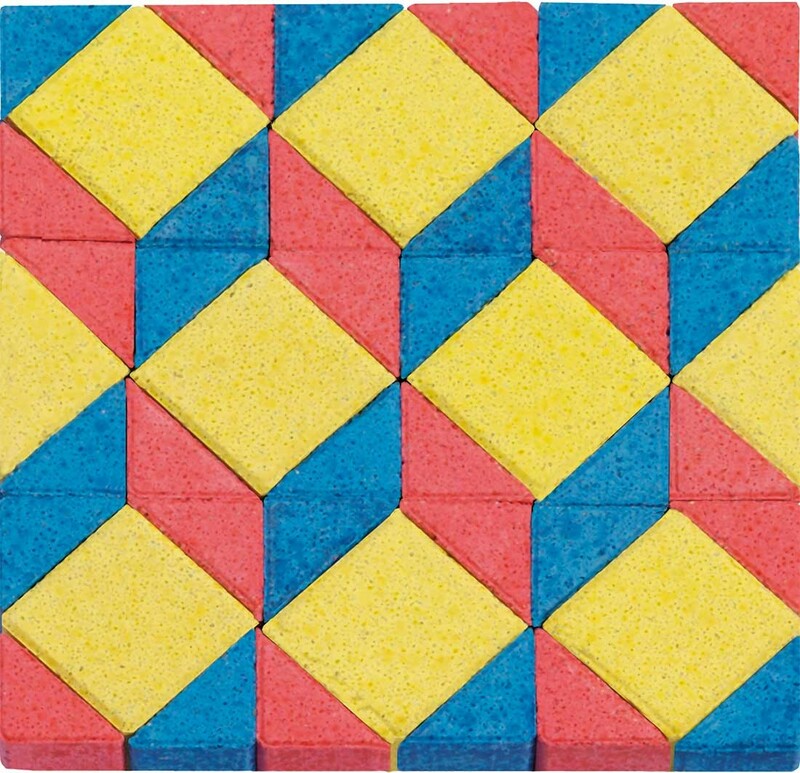 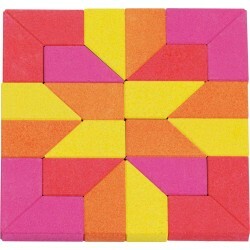 Includes 46 colorful blocks in a flat carton with lid. 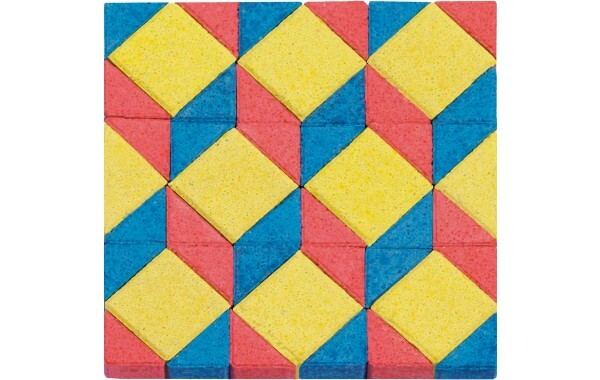 Square block size is 2.5 x 2.5 cm (0.98 x 0.98 inches) and all of the blocks are 12.5 mm (0.49 inches) thick. 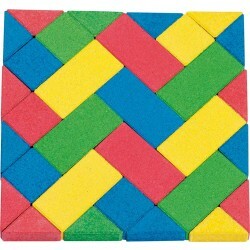 Overall size of assembled square is 10.8 x 10.8 cm (4.3 x 4.3 inches).